Thoughts from The Productivity Booster | Because it's time for a business boost! Simply work smarter. I touched on nurturing relationships in my previous post Successful Business Relationships Take Work, but there’s more I want to share. When I think about nurturing relationships, think about what I have learned in nurturing my personal relationships. Years ago my husband and I read The Four Agreements, by Don Miguel Ruiz. These “four agreements” are something I reference often in my personal and professional relationships. 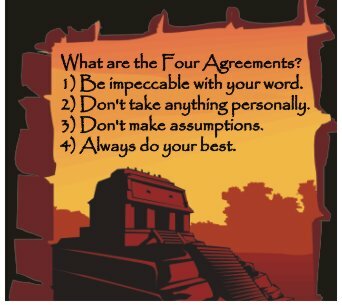 What I like most about The Four Agreements is their simplicity and frankness. No beating around the bush here, and trust me, they will stick with you. I’ve been thinking about them for the last six years! Agreement #1 – Be impeccable with your word. When building a relationship on trust, you have to be impeccable with your word by speaking with integrity and only speaking what you truly mean. Agreement #2 – Don’t take anything personally. Oh, this is a tough one, but folks, it’s not all about me or you. In fact, Ruiz points out in his book that nothing other folks do is about us…it’s about them. And the same goes for our actions. They are about us, not about the other person in the relationship. Agreement #3 – Don’t make assumptions. The fastest way to get into trouble in a relationship is to “assume” anything. Nine times out of ten, we’re wrong. Ask questions, find out what’s really going on. Communication is key! Agreement #4 – Always do your best. By always doing our best, we don’t allow room for self-judgment, self-abuse and regret. Our best may vary day-to-day, but if we are always doing our best, we can be proud of what we’ve offered to our relationships. What “agreements” work best for nurturing your relationships? We all have the opportunity to build relationships. Whether you are a business owner, corporate executive, or something else, we all build some sort of relationship the folks that we meet. But, it goes beyond just exchanging a business card and a handshake. You actually have to work at a relationship to make it successful. Granted, the work doesn’t have to always be hard, but relationships are a two way street – meaning, both sides have to work at the relationship in order to make it a success. I’ve been told that a relationship is give and take. I’ve even been told that you must “give-to-get.” But, my experience has taught me, you must give a heck-of-a-lot more then you ever take. When you walk around wanting, or good grief worse, expecting, of everyone around you, others catch on and relationships can be damaged, even broken. A relationship is not something to take lightly. Relationships are something to be cherished, and who knows, that relationship can turn into a friendship, a mentorship, or even a client. But, you must start with building and nurturing the relationship first. 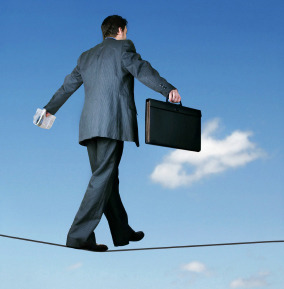 I think over time we can tend to be more cautious and become less of a risk taker. As a child, I think my middle name was “risk.” I remember fondly when I was 8-years-old, we were living on the Air Force Academy in Colorado Springs. We headed north for our first (of many) family ski trip. I spent the morning in “ski school” and after lunch we headed up on the slopes with a group of folks. I remember asking my parents to let me do a downhill race and I ended up winning a bronze medal for my time. Needless to say, I was hooked on skiing after that. I spent my middle school and high school years pushing the limits by making my way down black diamonds. When I was in high school I sprained my knee and it was never quite the same after that. That injury (and my folks knee injuries) caused me to be a lot more cautious, especially on the slopes. It’s been nearly 12 years since I strapped on some skis, and some days I miss it. But what I miss the most is the “no-fear” mentality I had when I was 8-years-old. Risk taking does not always come naturally. As a child we were more likely to take risks, but as adults we’ve been conditioned to be more cautious. Maybe we’ve been taken advantage of, ripped off, or even emotionally attacked. Last year I took a risk with a graphic designer. After our first meeting I paid him a deposit…then I never heard from him again. That trust was broken, and it took me months to get comfortable again enough to find a new designer. Some may argue that asking for help is a sign of weakness. I beg to differ. Yet, I have also found it hard to ask for help sometimes. I can remember all through high school and college I was never the first to raise my hand and ask a question. Oh, I had plenty of questions, but I was too self-conscious to raise my hand first. I was worried I would ask something stupid, and then the class would think I’m an idiot. Yes, this is a true story. In all honesty, it wasn’t until this last year that my confidence grew to a point that I wasn’t worried so much about what others might think, but more eager to find out the answers to my questions. Once I started asking questions I realized that so many folks out there WANT to help you. They themselves are bursting at the seams with information, and many of them are happy to share. Asking questions can be done in so many formats these days: Social Media, Face-to-face, Email, and you can always ask Google! 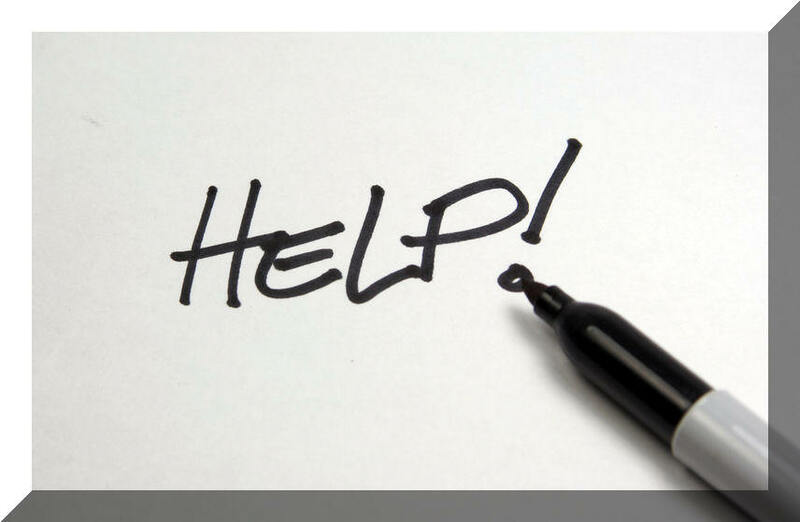 What areas of your business are you most likely to ask for help? I’m not talking about muscles folks. Although, P90X has helped me with that…I digress. I’m talking about finding what it is that you do best. As a solopreneur I wear more hats than I can count. And the truth is, I’m not good at all those hats…and that’s okay! Not sure where your strengths are? Start making a list. What are you good at? Too modest? Ask someone you trust, who you know will give you honest feedback. It’s taken me some time to find my strengths. Not only finding what my strengths are, but believing in them. 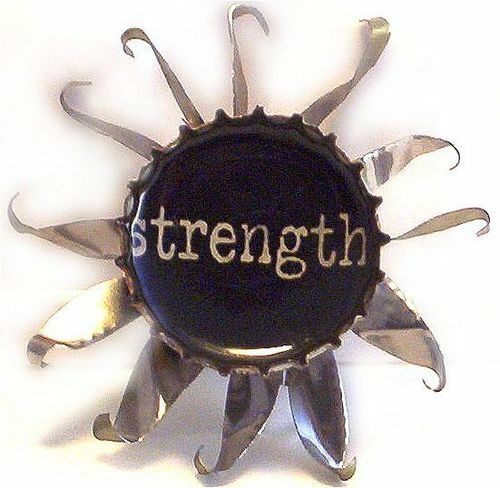 Have you found your strengths? Was it easy or was it hard? It’s easy to get caught up in the excitement of new ideas, business ventures, or even topics to blog about. Maybe it’s that you’re getting caught up in building relationships (coming up in #5). No matter what it is, always, always, always, trust your gut. You know, that sensation you get when something just doesn’t feel right? Or maybe it sounds too good to be true? Those are the times you need to trust your gut. I recently encountered a potential business relationship that just didn’t feel right. Turning away business is not something I want to do, but my gut told me that this was not going to be a good fit…for either of us. Looking back, I realize that although it’s challenging (and a little painful) to turn away a potential client, I had a feeling, and I trust that. 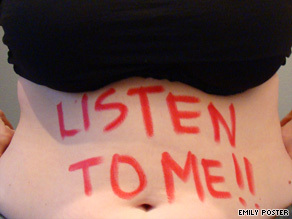 When have you listened/or not trusted your gut? Let me just say that 2010 has brought about so many amazing challenges and changes for my business. I suspect that I’m not alone. When I first started my business in November 2008, I had every intention of being a residential organizer. I had my reasons for thinking that was the best path, but within the first 6 months of business I realized that my passion was not for residential organizing. I’m a huge fan of residential organizing, and love all the tips and tools out there, but I didn’t feel passionate about providing this service to others. In fact, I didn’t really know at that time where my passion lied. So, rather then create a list of what I did like, I decided to create a list of the things I knew (for sure) that I didn’t want to do. At the top? Garages! As I began to create a list of the things I knew I didn’t want to do, I started to find my passion – businesses! Through a great deal of battling against myself (niche market), months of business coaching, and falling down a few (or more) times, I realized that I love working with business folks. Helping businesses work smarter (not harder) is a passion of mine, and it’s something I’ve been doing in nearly every position I’ve held over the last 18 years. Just over two years into the business I’m rebranding with a new name and all the marketing materials to go along with that. If you are a business owner, you can probably relate. Wearing every hat can be overwhelming, tiresome, and even frustrating. With so many amazing challenges and changes over this last year, I knew I had to share what I’ve learned. 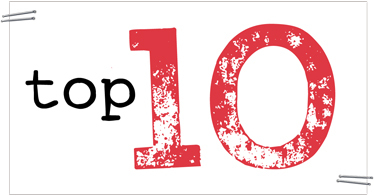 Over the next 10 days I’m going to share with you the Top 10 Most Powerful Things I’ve Learned About Business in 2010. Here’s a sneak peak at the Top 10 list. Stay tuned over the next 10 days to hear more about each topic on the list. Thoughts from The Productivity Booster · Because it's time for a business boost! Simply work smarter.